Custom erasers will erase your failures and all mistakes that you made till date. Erasers are important desk accessories for students and they can use it while drawing, sketching or correcting something. You can easily earn a permanent spot over their study tables with these personalized erasers offered in bright colors. All our promotional erasers for kids are made of non-toxic materials so you don't have to worry about kids getting in trouble with it. 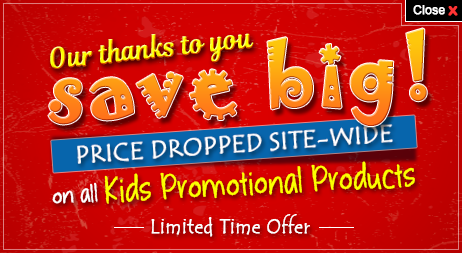 Order today to lock the best price deals at Promo4kids.com! You can save on online design proof, artwork assistance and efforts to befriend your potential customers. Fast shipping is offered within the contiguous USA. 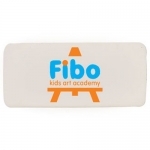 Logo printed erasers are one of the most value effective and affordable promotional items that are ideal for students and educational services. These individuals usually work with pencils and erasers. When looking for promotional gifts, you should always consider their usefulness for your targeted customer segment. It is sure that your recipients will use these bright erasers regularly and conjure great images about your company. 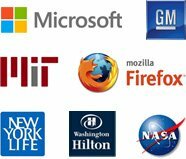 This regular use will offer grand brand exposure for your company and your business will possess a big chance to strike with a wider audience. For completeness, you can always team these promotional erasers with promotional pencils and pens offered at Promo4kids.com. 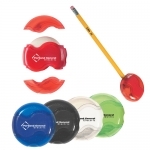 You can give away these high quality promotional erasers to your customers during school activities or community events. 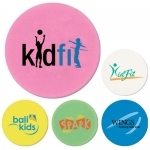 It is best to distribute your logo printed promotional erasers during school festivals, school fairs and events. Kids who receive these erasers will use them regularly at school, home, tuition classes or self study centers. Also, they will show these bright customized erasers to their classmates and discuss your brand with them. You can also give these erasers to teachers and ensure that they use it regularly in the classroom. These promotional giveaways for kids will assure you that your brand logo receives outstanding exposure in the classroom and it offers plenty of promotional opportunities. We stock several bright erasers and stick erasers for you to select from. Logo printed stick erasers are loved by students because they are easy to find and offer them great satisfaction while working. If you want to select only the best custom erasers for your brand, our product specialists can easily help you. You can call them at 855-454-3786 or email at info@promo4kids.com. Our product experts will help you to select best value effective erasers for your budget and won't mind making you understand the business benefits that you may enjoy on selecting them. 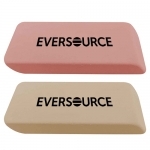 Our advertising team will ensure that your logo or message is aptly printed over these erasers. You can order these erasers in bulk to save on the investment.